Argentina has a winning horse called Malbec, and it's riding it hard. Thanks to the wine's approachable, juicy, fruit-driven profile, along with a multitude of bottlings for $15 or less, Malbec has captivated American consumers. This demand is triggering increases in both production and exports, providing the wine world with a rare bright spot of growth during a difficult economic period. 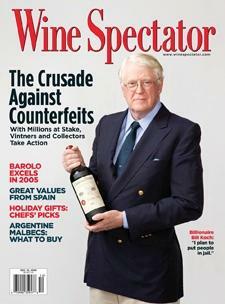 For the full article, check out the new issue of Wine Spectator, on newsstands November 24, 2009.